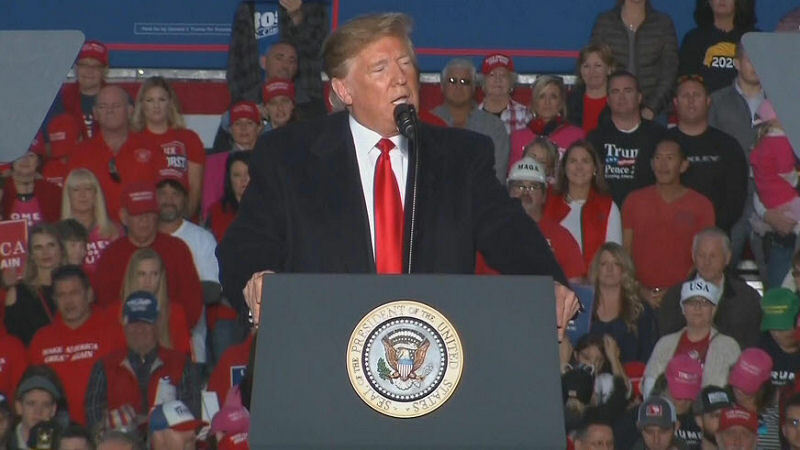 President Trump told reporters he thought about canceling his appearance at tonight’s Murphysboro, IL MAGA KAG2018 rally after 11 people were shot dead in a synagogue in Pittsburgh. We don’t want to let evil people change our lives. President Trump mentioned the Pittsburgh shooting shortly after beginning his speech in Illinois. It’s a terrible thing what’s going on with hate in our country, Trump said after the shooting. Calling the killings a “wicked act of mass murder” and “pure evil, hard to believe and unimaginable.” He also said the synagogue should have had armed guards. We must stand with our Jewish brothers and sisters to defeat anti-Semitism and vanquish the forces of hate. President Trump used the moment to advocate for the death penalty. We have to bring back the death penalty, Trump said at the rally in Murphysboro. In this example they have to pay the ultimate price for taking others lives.